Purple Brandywine or Marizol Bratka tomato seeds. A cross between Brandywine and Marizol Purple by Joe Bratka. Potato leaf plant produces loads of 10-16 oz. rich, creamy-sweet, dusky rose-purple fruits. 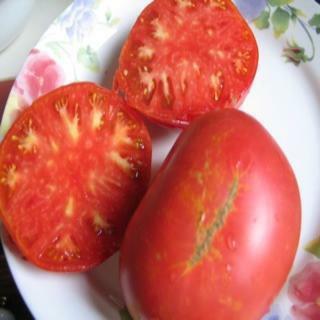 Purple Brandywine or Marizol Bratka tomato seeds. A cross between Brandywine and Marizol Purple by Joe Bratka. Potato leaf plant produces loads of 10-16 oz. rich, creamy-sweet, dusky rose-purple fruits.